Husky Energy announced on Thursday that its offer for MEG Energy has expired and that the minimum tender condition was not met. 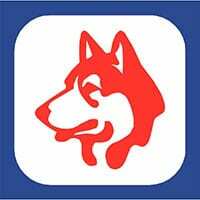 “Due to insufficient MEG board and shareholder support, Husky has decided not to extend its offer,” said the company. It added that since the offer began 105 days ago, a number of “negative” surprises took place in the business and economic environment. and continued lack of meaningful progress on Canadian oil export pipeline developments. All MEG shares that have been tendered to the offer will be promptly returned to shareholders, added Husky. The company said record daily production rates were achieved at the Sunrise Energy Project (62,600 barrels per day (bbls/day) gross) and Tucker Thermal Project (31,700 bbls/day) in the fourth quarter of 2018. “Sunrise has been in operation since 2015, with significant investments made to enhance production over the past three years. Husky continues to work with the Alberta government to mitigate inequities in the curtailment methodology, costs and other unintended consequences,” it said.